WAYNE, PENNSYLVANIA, UNITED STATES, March 19, 2019 /EINPresswire.com/ — In 2018 Philadelphia’s growing district, Greater City Center, saw the construction and completion of 2,810 new housing units. This is the largest number of new housing units the district has seen since 2002. This enormous construction boom is great news for the real estate community including the construction supply chain, developers, lenders, investors, I Fund Philly, Bryan Ziegenfuse, and those looking to rent and purchase property in an exciting and expanding metropolitan district. Many observers, including Bryan Ziegenfuse and I Fund Philly, attribute this large construction boom to the Millennial generation. Millennials are widely defined as those born between 1981 and 1996, or between 23 and 37 years of age. The millennial demographic has been attracted to the Greater City Center in Philadelphia as a result of their desire to live in the exciting city. Movement into urban areas is predicted to increasingly intensifying as residents seek new jobs, vibrant social living, walkability, easy transportation, restaurants and entertainment options. Through iFP’s own interviewing of local realtors in Philadelphia during December 2018 into January 2019, those local realtors continued to see strong demand for renovated homes. This movement has created a demand for newly renovated housing that far outpaces the current supply. Highly desirable areas have limited “mass” development opportunities for large developers creating strong support for small/medium size developers. 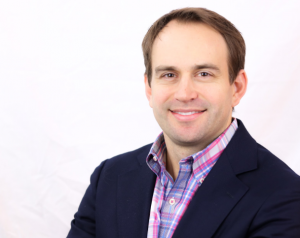 I Fund Philly and Bryan Ziegenfuse’s innovative approach to connecting investors and developers through its mobile technology platform will bring much needed improvements to the customer’s experience for traditional fix and flip investors. Traditional bank lending lacks customer ease of processing. Developers and investors currently operate in a fragmented industry and spend large amounts of time on non-revenue producing tasks. The fix and flip process for investors, developers and contractors can be extremely difficult to navigate, effectively increasing the length of time and cost necessary to evaluate, secure and begin new developments, reducing the number of new projects possible for all parties. iFP’s platform will unite and integrate the sourcing, funding, managing and selling of the investments within local real estate communities by connecting these functions within a single, innovative, mobile-enabled product. The much-anticipated release of the product is scheduled for early 2019. While there has been a large boom in new construction, there is also a very high demand for newly renovated residential housing. This demand for newly renovated residential housing is a draw for buyers, sellers, developers, the construction supply chain, investors, and lenders alike. Bryan Ziegenfuse and I Fund Philly believe their innovating lending platform will bring value to all of these groups by streamlining the lending process with technology and eliminating outdated processes. Private lending is a $50B industry and growing. Bryan Ziegenfuse and I Fund Philly are planning for a strong 2019 and will look to bring their community-based lending platform to additional cities to stimulate local real estate and bring continued value to developers, investors and builders. 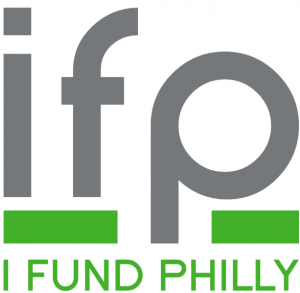 To learn more about the loans offered by I Fund Philly (iFP), Bryan Ziegenfuse and the iFP management team you can visit http://www.ifundphilly.com/.